America’s schools need more teachers. Recent research from the Department of Education shows that every state in the country is experiencing a K-12 teacher shortage. The problem is approaching crisis level in several states. Teacher retention is becoming increasingly difficult. The national teacher attrition rate hovers around eight percent. One state, South Carolina, saw 5,000 teachers leave the education profession in the 2016-2017 school year. An equally overwhelming problem for K-12 schools is finding new teaching talent. A report from the Learning Policy Institute found that enrollments in teacher education programs declined by 35 percent between 2009 and 2014–from 691,000 to 451,000. Those declines are expected to continue. No way around it. The nation’s teacher pipeline is drying up. To stave off plummeting numbers and recruit fresh talent, several districts and states are actively recruiting aspiring teachers while they are still enrolled as high school students in their schools. Dawkins says traditional teacher recruitment doesn’t work anymore. He urges districts to identify and foster students’ interest in education–as early as middle school. Several districts have recently announced the creation of new “teacher learner academies,” programs designed to provide high schoolers with real-world teaching experience in their schools. Districts from Hawaii to Mississippi to California are all experimenting with their own versions of teacher academies, Andrew Simmons reports in Edutopia. T.E.A.C.H. Academy at Santa Ana Unified School District in California bills itself as a “school within a school.” From sophomore to senior year, participating students are taught introductory education theory and partake in community service that trains them for real-world teaching environments, such as reading to children at the local Social Service Agency. At the end of the program, students receive the equivalent of 15 credits toward the education program at nearby Santa Ana College, along with the opportunity for certification in after-school instruction. Deidra Gammill, who heads a similar teacher academy at Petal High School in Petal, Miss., says such programs give aspiring teachers an opportunity to understand how classroom instruction works–and whether it’s something they want to pursue. Teacher academies are also focused on ensuring the next crop of teachers more accurately reflect the students they serve–ethnically, geographically, and socially. Denver-area student Angel Magana says a series of classes led by predominantly white, female teachers made it hard for him to imagine becoming a teacher. According to Education Week, Hispanic public school teachers make up a paltry nine percent of the total U.S. teaching workforce. Hispanic men account for just two percent. When Magana was a junior, he attended his first class with a hispanic male teacher. That experience was inspirational. As a senior, Magana entered the Pathways2Teaching program, designed for minority students to earn college-level credit while studying educational justice. After graduating high school, Angel entered the education program at the University of Colorado Denver. He’s currently enrolled in the NxtGEN Teacher Residency program, where he both studies and works as a paid paraprofessional at a local school. Magana is just one of the many minority students school leaders hope to inspire through early training programs. College-level residencies, such as NxtGEN, continue the work of teacher academies, providing both real-world experience and practical support. According to Education Week, more than half of this year’s resident teachers are nonwhite–signaling a positive shift towards diversity in America’s teaching ranks. Still, experts say the majority of high school and college-level teaching recruitment programs are still in their nascent stages. Which means we’ll have to wait and see just how big of an impact they eventually have on the teacher crisis. 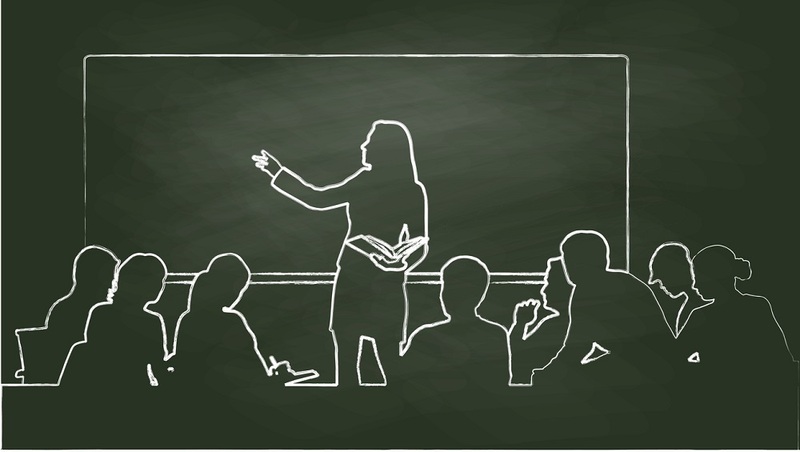 Does your school or district host a teacher academy program? How are you working to recruit future teachers in your schools? Tell us in the comments.